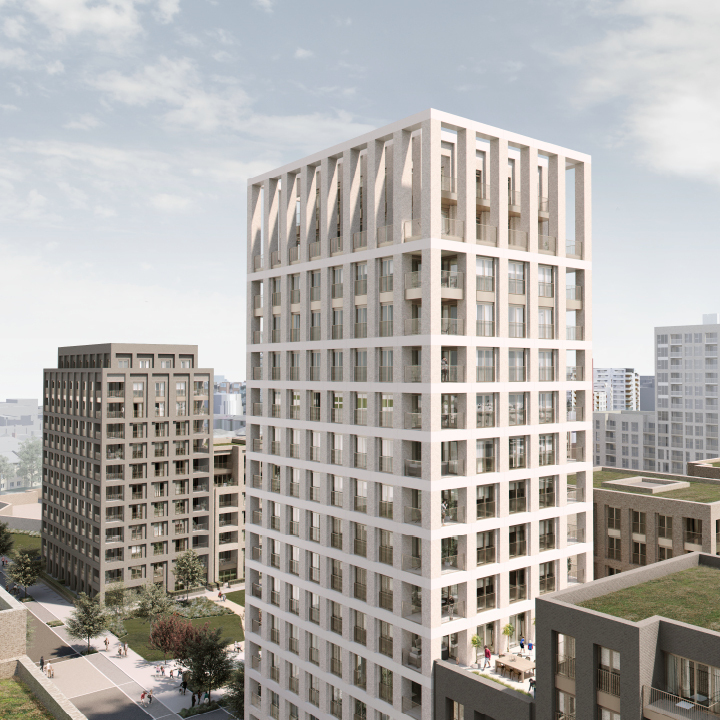 The first phase of our scheme for Redrow London, that forms part of the Colindale Gardens Masterplan, has started on site. The proposal, containing 483 residential units, is formed from three residential sites (E, F & G) arranged around a central green space, Garden Square West. Each of the three plots are expressed as a series of finer grain buildings lining the edges of the square and the primary axial route through the whole masterplan site. Groundwork has started for Building F, pictured above, which contains 183 Build to Rent residential apartments arranged around a landscaped courtyard garden. The plot was recently acquired by M&G Real Estate’s UK residential property fund and adds to their burgeoning BTR protfolio. To the north, a composition formed with the adjoining building continues a row of mansion blocks along the central avenue through the site, whilst a taller building marks the end of the newly formed London Square, and an orthogonal route through the masterplan. The formal ordering and framework of brick columns and, pre-cast concrete banding seeks to reinforce this primary route, whilst to the south, the buildings drop in scale, and their architecture becomes more monolithic in appearance to reflect the domestic nature of the streets that they help to form.